Canvas Tutor is an app to help you develop your drawing skills with daily exercise. 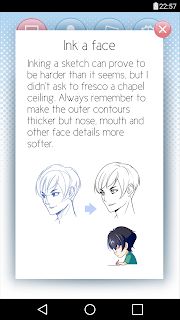 Everyday you will receive a quest focused on anatomy, backgrounds, inking, coloring and character design. Complete the quests, gain skill points and share your progress! 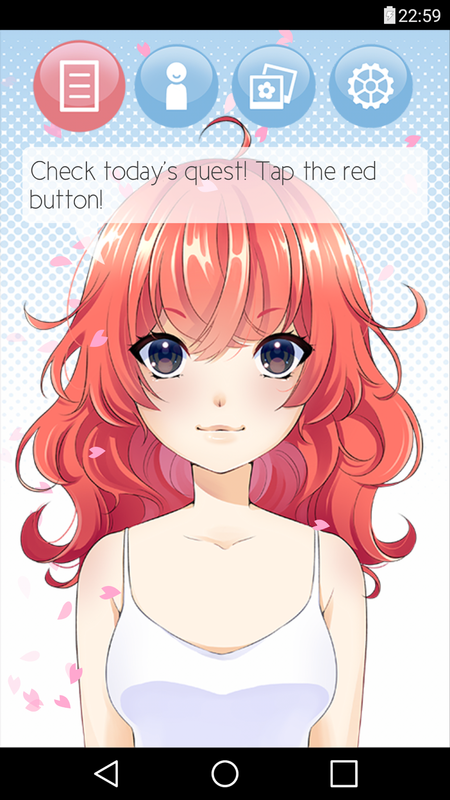 If you draw often and want a way to get better or keep yourself in practice, canvas tutor is the right app! See the drawings the user have shared! Okay, so you're pretty much done developing your new app or game, and you want to record a short demo or gameplay video. Or you just want to post your dev progress on Twitter with the #indiedev hashtag. But Twitter is really picky and throw errors if the video doesn't follow their parameters. You can easily get around this by capturing your screen with QuickTime and converting the resulting video with ffmpeg via command line. First fire up your android emulator, or desktop version of your Libgdx game. Then start QuickTime Player. In the top menu go to File > New Screen Recording. When you press the red record button, drag a rectangle to select a portion of the screen to record, and record your video. To stop recording, use the circle icon on the top right. Save your video as video.mov on your desktop. and convert your video. The following command is for creating a h264 video for Twitter. 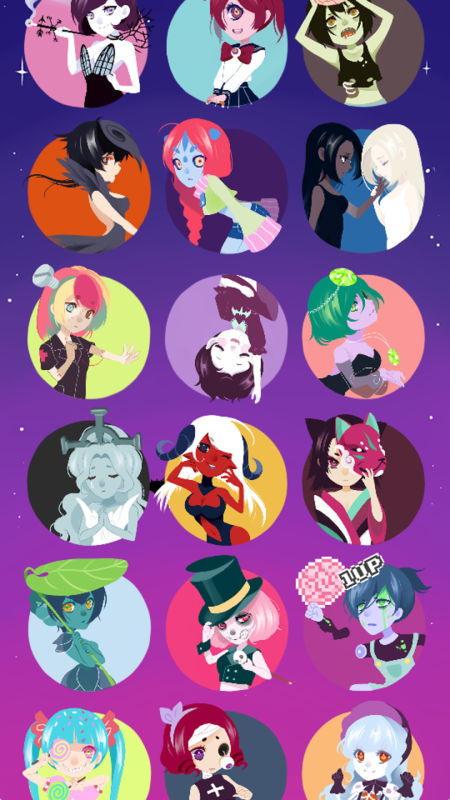 Do you want to post your game progress to 4chan's /agdg/? The following command will create a webm with VP8 codec suitable for posting on 4chan. The video will be created in the same folder of your source video (your desktop). If you want to mess with ffmpeg parameters like scaling, bitrate, etc, refer to the ffmpeg wiki. A new game from Pimentoso has been released! 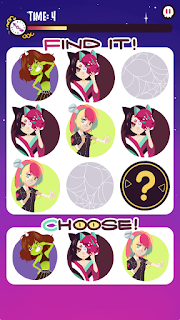 Peekaboo is a fast and challenging memory game, featuring cute and spooky monster girls cards! Memorize the pattern of a 3x3 grid for just 3 seconds, and try to remember the cards that get randomly covered. There are 24 levels with increasing difficulty, and you can unlock more than 30 cards. The game is free for any android device! New app on Google Play! Pocket softbox is an evolution of Color Light Touch, with features oriented to photographers and cinematographers. Pocket Softbox turns your phone/tablet screen into a colored light source, to use it for photography or videos in low-light conditions when you can't bring your heavy equipment with you. Just slide your finger on the screen to change the color, choosing from a Kelvin scale (1000K-10000K) or a full RGB scale. 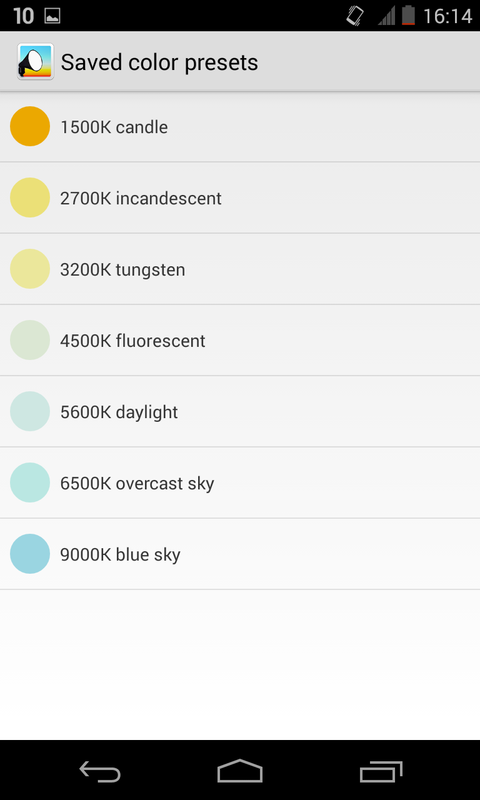 You can adjust the brightness and save your color for later use. A round light mode is also available for eye lighting purposes. Thanks to cinematographer Christian Denslow for his supervision and ideas. Having the need to quickly generate dialogs in my game, I looked into the Dialog class in the scene2d.ui package. It allows you to create dialogs with a title, text, and all the buttons you need. The Dialog object contains a "contentTable" field for its inner text, and a "buttonTable" field where the buttons are placed. Both are Tables. The Dialog class extends Window, which itself is a Table. So you can fine-tune sizes and paddings of the various elements. Different story for the entire dialog sizing; if you simply use the setSize(w, h) method it won't affect anything. This is because Dialog.show() method calls WidgetGroup.pack(), which overrides any size is explicitly set, and dynamically resizes the group depending on its content. To fix this, you can simply override getPrefWidth() and getPrefHeight() to return the values you need. I created this class for my needs, which automatically styles the text and buttons you add to the dialog. * Adds a text button to the button table. * @param listener the input listener that will be attached to the button. You also need to declare a WindowStyle declaration in your skin.json file. For more informations about skins, take a look at my Skin tutorial. You can now grab our Candy Falls! 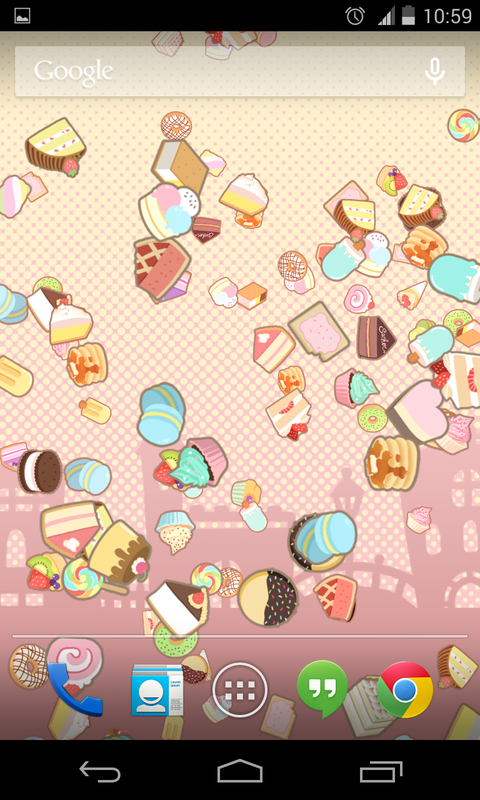 Live Wallpaper for Android for free. 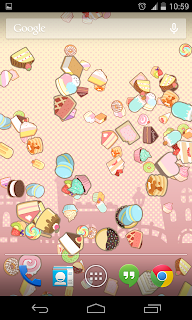 Remember to shake your phone to get even more sweets falling! In this guide I'll show how to write a basic Android app that retrieves data from a JSON webservice, and simply shows it in a list. We'll be using the following stuff. 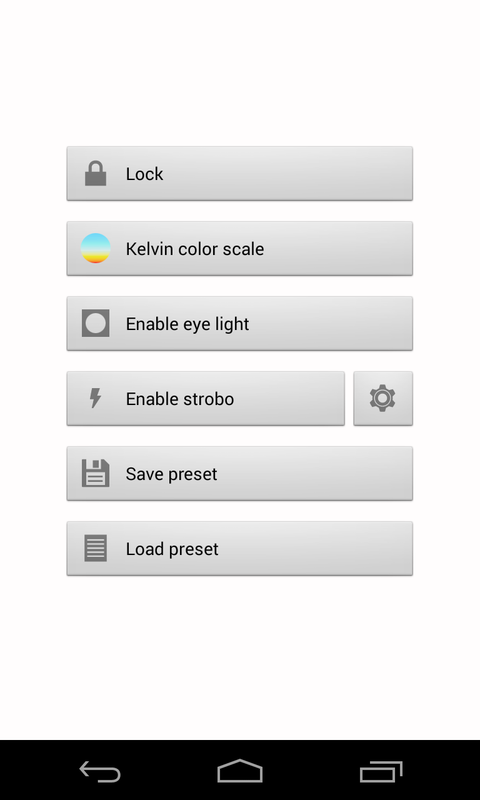 Create a new Android project, with a MainActivity class inside. Create a "libs" folder inside the project, and put the GSON jar in there. When you refresh the project, Eclipse should automatically add the jar to the project's build path. Let's have our activity extend ListActivity instead of Activity. 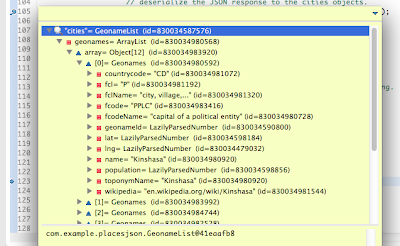 Now let's look at the "citiesJSON" webservice API. Result : returns a list of cities and placenames in the bounding box, ordered by relevancy (capital/population). 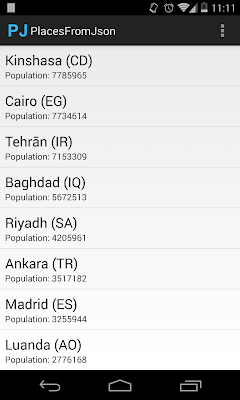 Placenames close together are filterered out and only the larger name is included in the resulting list. 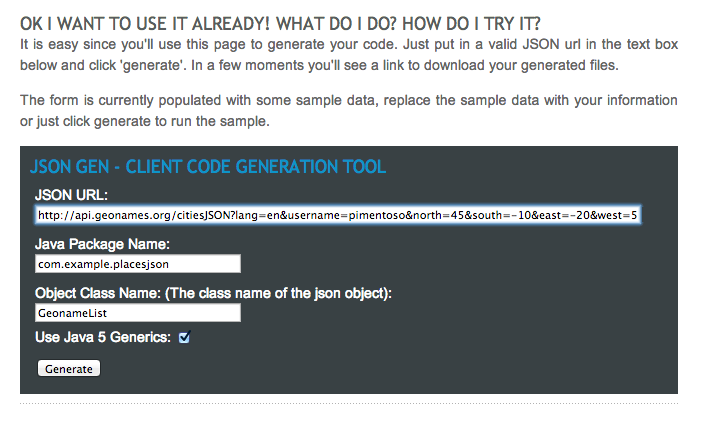 Go to the JSONgen website, and paste the sample URL for the webservice. Now we're gonna work on the activity. We're going to create the "callService()" method that does the main job: starting a thread that calls the webservice, and deserialize the data. The comments in the code should be self-explanatory. // Show a loading dialog. // Create the thread that calls the webservice. // build the webservice URL from parameters. // call the service via HTTP. 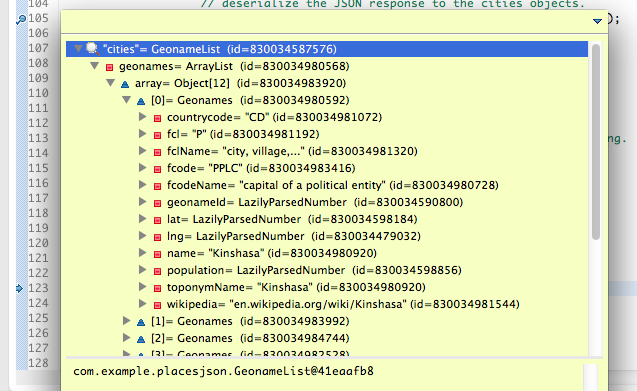 // deserialize the JSON response to the cities objects. // Illegal state: maybe the service returned an empty string. // JSON syntax is wrong. This could be quite bad. // error: notify the error to the handler. // everything ok: tell the handler to show cities list. The code contains the "readStringFromUrl()" utility method which is not covered in this guide. 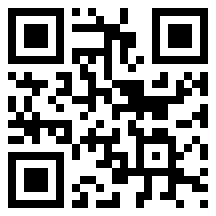 Please download the project zip at the end of this post to grab the code. When the thread has completed, the "cities" object shoud contain data returned from the webservice. This is the simple handler that's called at the end of the method. // This handler will be notified when the service has responded. The last thing that remains is to actually populate the list, so let's write the "buildList()" method. 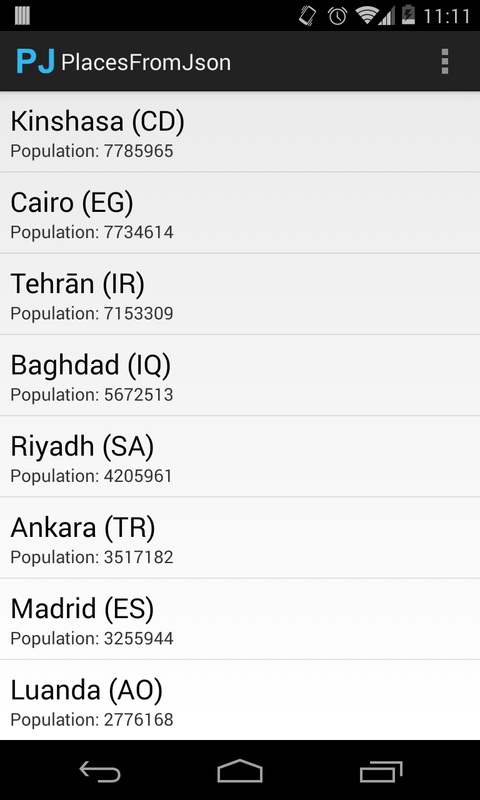 // cycle on the cities and create list entries. // create the list adapter from the created map. Let's wrap it all up, by calling "callService()" when the activity is started. The final result should be something like this. The exception is not actually thrown. So if you want to retrieve the error message, you could expand your GeonameList class to contain a Status object, so GSON can fill it when it is returned. 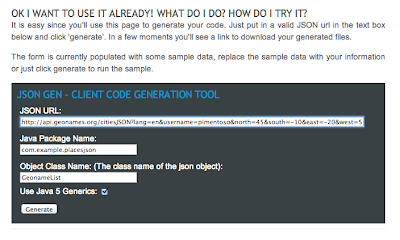 If GSON is a bit too heavy for you (with its almost 200KB) you can look into JSONbeans, a lighter library by EsotericSoftware. You can get the project on Github. Alternatively, you can download the Eclipse project ZIP here.